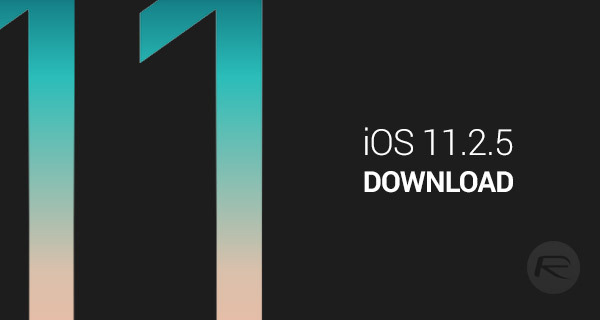 Apple has officially made available for download iOS 11.2.5 final IPSW links and OTA update with immediate effect for compatible iPhone, iPad and iPod touch devices. If you have been involved in the testing of iOS 11.2.5 in any shape or form, either as a developer or a public tester, or have just been keeping abreast of each pre-release seed, then you will likely know that this is very much a minor point release on Apple’s larger roadmap. In fact, in the majority of pre-release seeds which have been released prior to this public offering, testers haven’t been able to find anything other than an update which looks to consolidate previous releases and get Apple back on an even footing where iOS is concerned. You may or may not remember, but a number of Apple’s previous iOS releases have been hurried out in order to fix some significant bugs. iOS 11.2.5 is an opportunity to carry on from where iOS 11.2.2 left off and to slow everything down and get back to basics. The release may not be what you would call “feature-packed,” and it certainly isn’t going to give all compatible device owners something to sink their teeth into in terms of new features and functionality, but it’s definitely a must-have install which Apple is recommending should go on all compatible devices with immediate effect. Lack of features aside, this includes a host of necessary bug fixes – including a fix for the notrocious chaiOS bug – and stability improvements which should hopefully promote a positive experience on all devices installing the update. All compatible devices can grab the latest public release right now by launching the native Settings app and navigation to General > Software Update. This should pull down the availability of iOS 11.2.5 OTA update if it isn’t already showing. Alternatively, for those who want a fresh manual installation, it’s also possible to grab the relevant IPSW file for your device to go through an iTunes update/restore installation. Update: Full official changelog of iOS 11.2.5 is out. 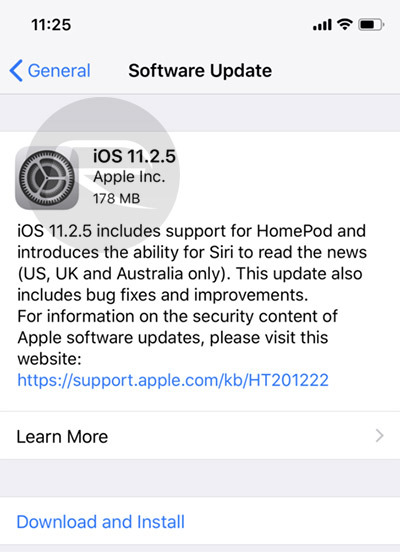 Check out the details on it here: iOS 11.2.5 Final Release Notes, Changes, Security Content: Here’s What Is New. The iPad Pro (10.5-inch)’s file link is wrong?